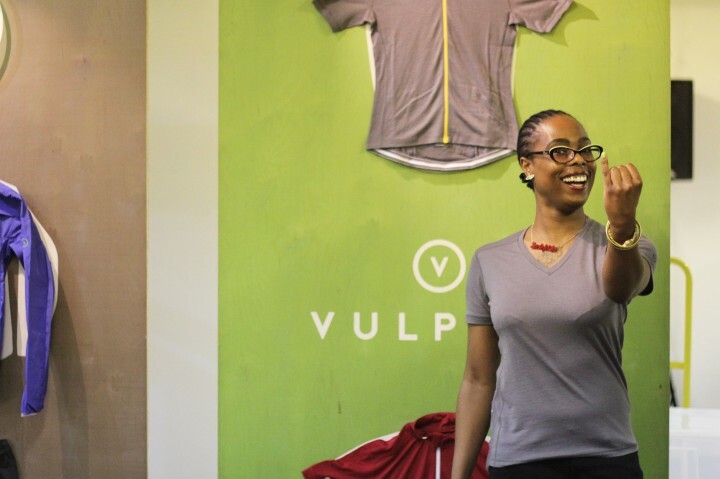 ﻿ Vulpine @ SPIN | not tom. 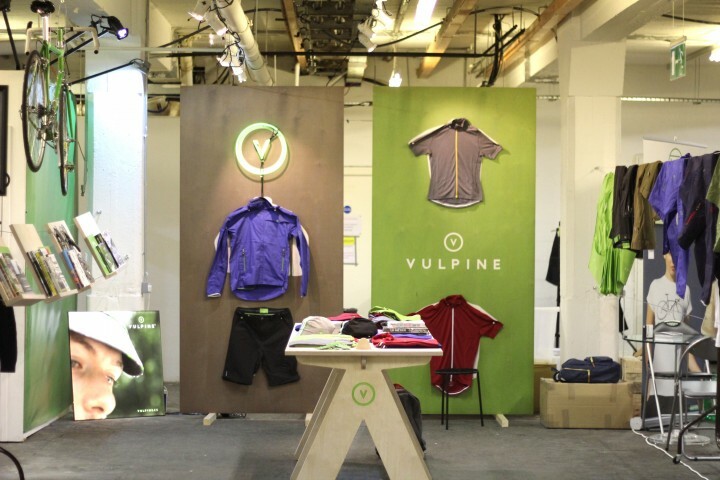 We’re big cyclists here at Not Tom, so it gave us great pleasure to work with new British cycling brand Vulpine on their stand at debut urban cycling show SPIN LDN. 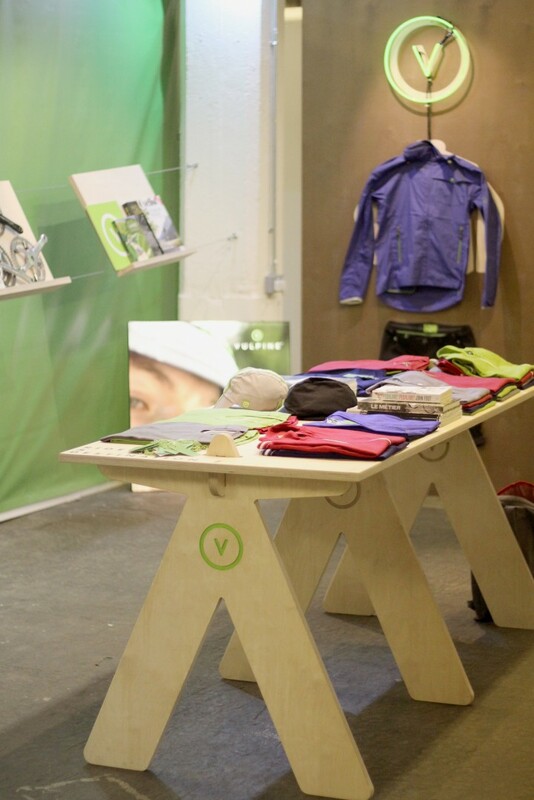 The pitch was small and the budget was limited, but with such a strong product offering we felt a simple set-up and a paired back material palette would let the clothes speak for themselves. 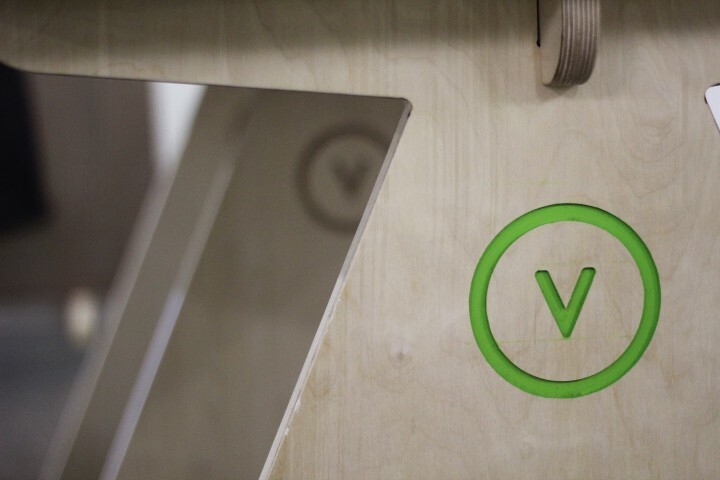 The two wall panels were constructed from printed plywood sheets with inset magnets to echo the smart magnetic closures prevalent on many Vulpine products. 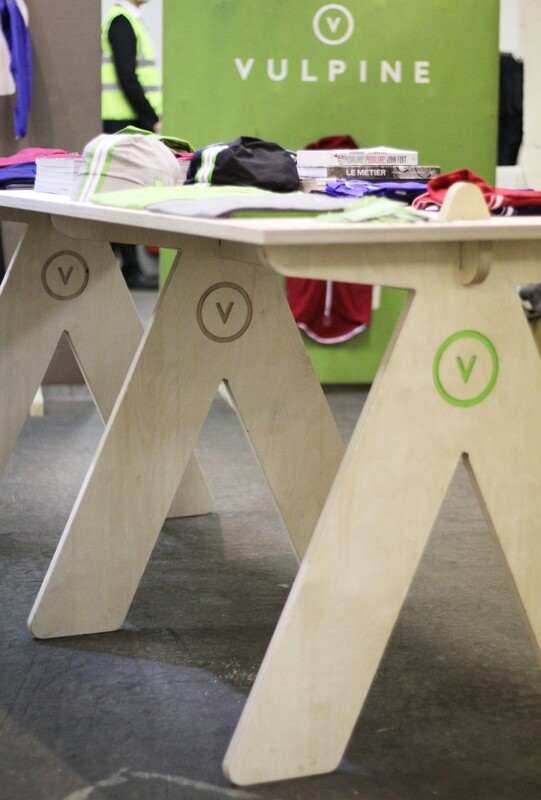 A bespoke slot-together plywood table with “V” leg details and routed logos was complimented with simple wire-hung literature racks. Also…. Neon. You’ve got to have neon. 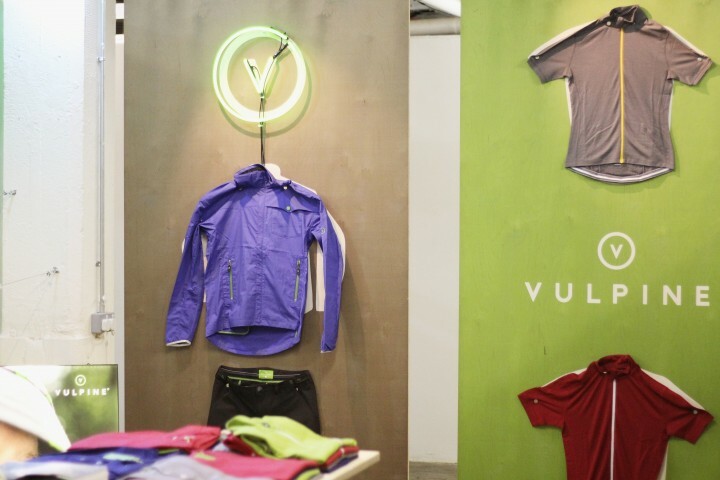 It’s nice working with brands you like, and it’s great to see a british apparel company on the rise. 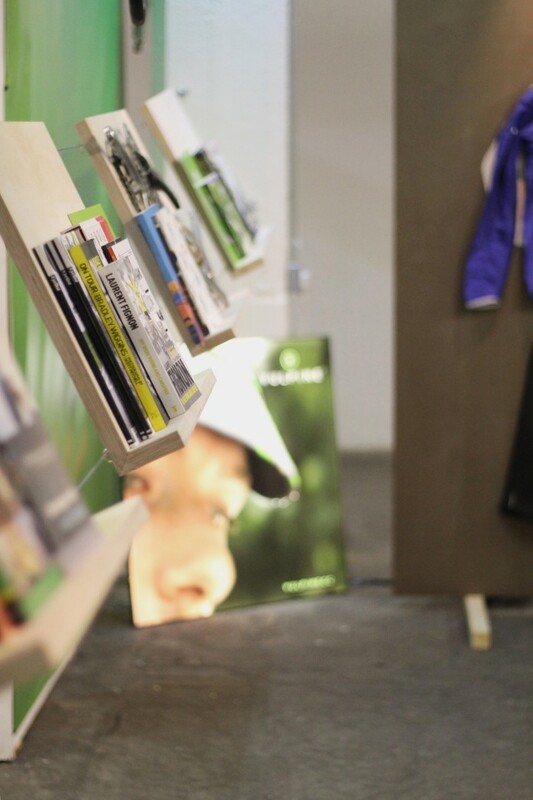 As well as that though, it was great to work on a trade-show that seems to really “get it”. 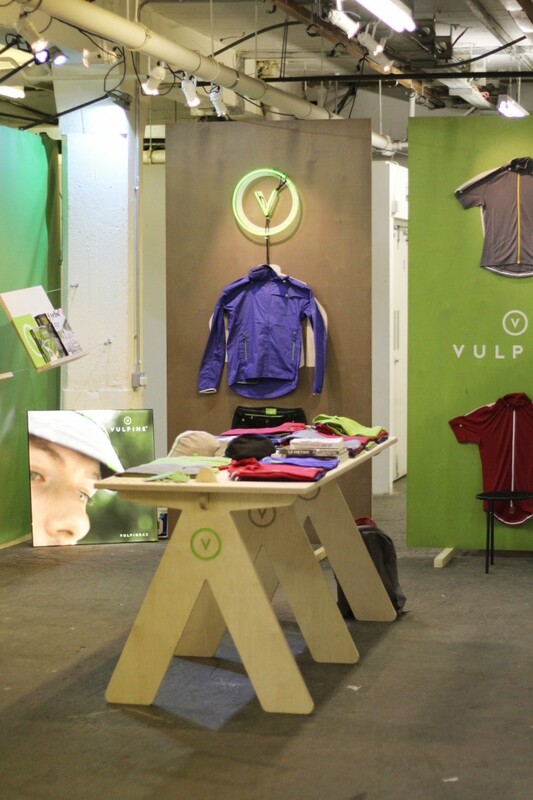 SPIN may be in it’s infancy, and we’re bound to be biased having provided some stock walling and scaffold-benches but it really felt like a show that customers and brands could enjoy as much each other. Already looking forward to next year!